Pioneer Bank is proud to provide innovative ideas to better serve our customers! We offer personalized online customer service through our Chat Online! 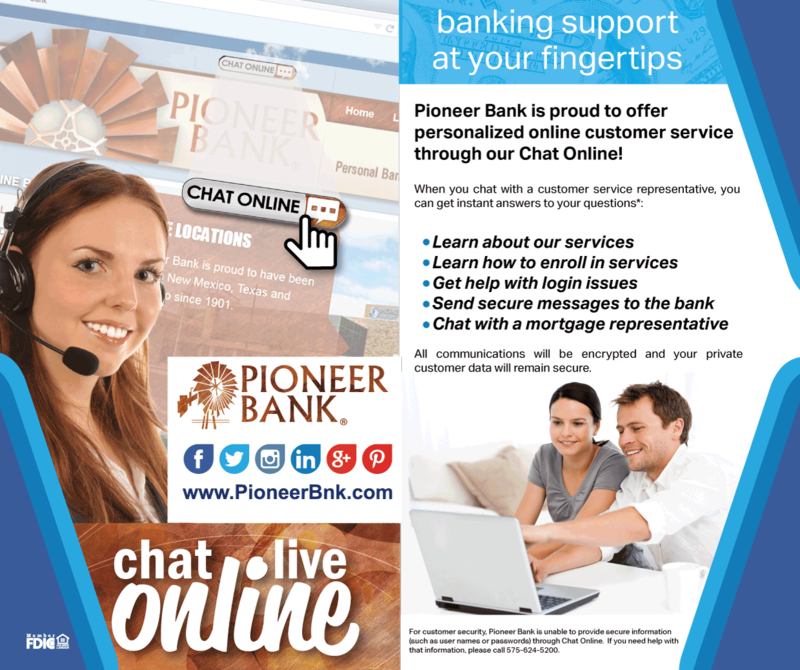 Visit http://www.pioneerbnk.com and click on the Chat Online button at the top. Representatives are available from 8 a.m. – 5 p.m. Monday-Friday to help you learn more about our services and how to enroll, get help with login issues, get mortgage questions answered and more! All transmissions are encrypted and your chat will remain secure. Sorry, but for security, we are unable to provide user names or passwords through chat. Tags: chat, customer, issues, live, online, support. Bookmark the permalink.